Laser ablation is a process by which a laser beam is focused on a specific area of solid metal or industrial compound to remove a layer or layers of materials. Due to the advancements in fiber laser technology, the laser ablation process itself can be conducted at an extremely high level of accuracy, precision and efficiency, resulting in numerous benefits for both the process and the industries that it is applied to. 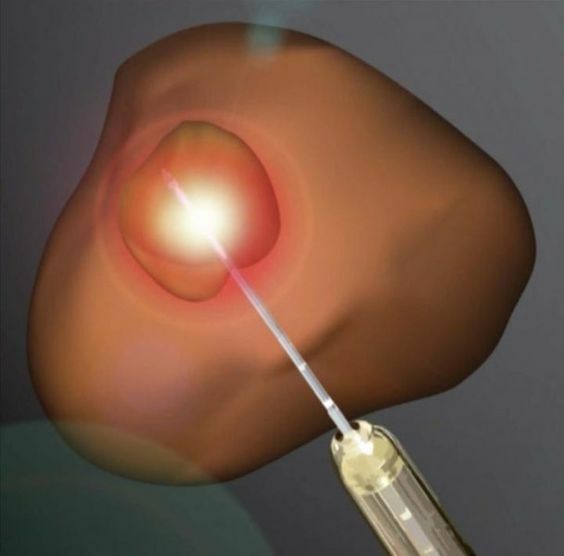 We explore below these benefits of laser ablation. One benefit of laser ablation is that it can be conducted using both a pulsed wave and continuous wave laser, although the former is the primary method as a high level of intensity is needed with the laser beam being used. Despite this high level of intensity, very little heat energy is transferred to the area surrounding the spot which you are performing the laser ablation on. This is extremely beneficial in that you can rest easy knowing you won’t be causing damage to the rest of the material that you are working with. And, as you can focus on a small spot, you can remove as much or as little material as you like. It is also an extremely cost-effective solution for many different processes. For example, with thin film removal, traditional methods require a multi-step approach; having to create a pattern for the area that is to be removed and then using chemicals to complete the task. Laser ablation, on the other hand, is quick, efficient, and highly cost-effective, making it the natural solution to any thin film removal process. As well as its cost-effective and low energy waste benefits, laser ablation is a safer and more environmentally-friendly approach as it uses no solvents, it is relatively easy to automate with robots and is much gentler than using more abrasive techniques such as dry-ice blasting. This results in it being the ideal choice for a wide range of materials, including metals, ceramics, and plastics. Not only does laser ablation have practical uses for materials in industries such as the electronics sector, but it can also be used on biological tissue. It is a proven method for treating epilepsy, removing brain tumours, treating spine tumours and even for the resurfacing of human skin. While its primary function is to remove layers of a material, it is also used to deposit film, which is useful for nanocrystals and nanotubes, for material characterisation, which is the process of determining which materials are present on an object, and for micro-structuring, which is the fabricating of miniature structures of objects. As can be seen, laser ablation is a multi-functioning, multi-purpose process which can be accurately controlled to provide extremely precise and efficient results. Its ability to adapt to a variety of different industries, whether this is manufacturing or science, makes it extremely useful, particularly as it can be used on everything from metal to human skin. Think that laser ablation might be just the right laser process for you? Get in contact with us here to find out more or contact us on +44(0)1489 779 696, or by email at sales@spilasers.com.